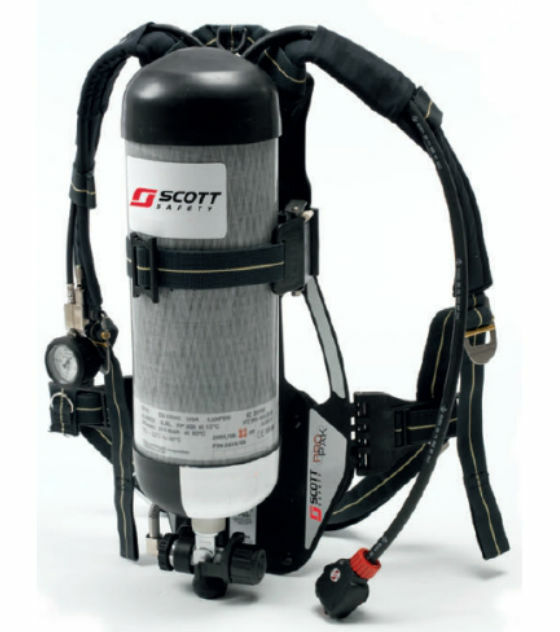 The 3M Scott Safety ProPak Professional Firefighting Breathing Apparatus is lightweight self contained breathing apparatus that offers the highest levels of respiratory protection available. For over 30 years its innovative engineering and customer led product evolution has enabled the range to adapt, respond and predict the ever changing needs of professional fire services around the world. With over one million firefighters worldwide trusting in Scott's equipment and backed by dedicated customer support, Scott's SCBA is the firefighters preferred choice. The Scott Propak is the latest lightweight self contained breathing apparatus from Scott Safety and offers the highest levels of respiratory protection available. - Approved to EN137: 2006 Type II, incorporating the stringent Flame Engulfment Test, Propak is refined to a level of performance demanded by the professional firefighter.